This car has been in the ownership of the current owner for the past ten years. This is car number 1860 of 1711 series two cars produced. In its time with the current owner it has had much work done to it to bring it up to the standard which you see it in today. 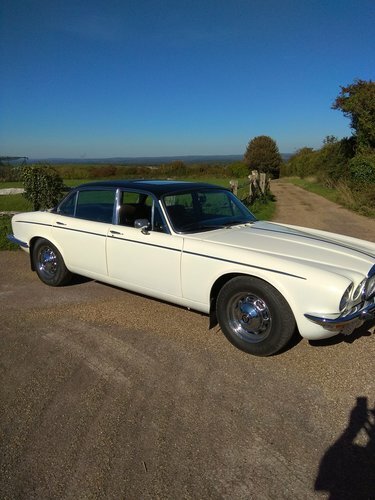 The car has just undergone a nine month body restoration & colour change from metallic gold to Old English White & an interior restoration. Almost all of the chrome on this car has been replaced with new & where new chrome could not be sourced the parts have been re-chromed to a high quality. 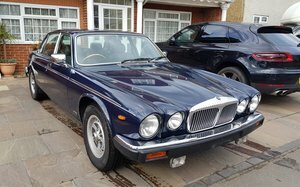 During its time with the current owner the following work has been carried out & parts fitted. New steering rack & bushes. New fuel pumps. Complete overhaul of the braking system throughout. New starter motor. New water valve for correct operation of the air conditioning system. New battery. Engine fully serviced. New coil & Lumenition electronic ignition system. New front indicator/side lamps. New grille badge. New chrome hub caps. New Tail Pipes. New rear bumper (all three parts). New rear over riders. New front over riders & rubbers. New front under riders. Front bumper re-chromed to the highest standard. Boot nachelle re-chromed. The drivers door mirror & fuel caps are still the original items & do have a small amount of pitting on them but are still very presentable. The steel chromed wheels are original & have the smallest amount of pitting to them if you look hard enough. Near side fuel tank removed to allow the correct repair of corrosion around near side fuel cap & joining flange at base of near side rear wing. Near side boot flange & sealing lip completely replaced. The underside of the car has had some repairs done in the past by previous owners & is in tip top condition having been waxoyl injected & underseal treated throughout. It has just had new mid grey with light grey piped carpets fitted. 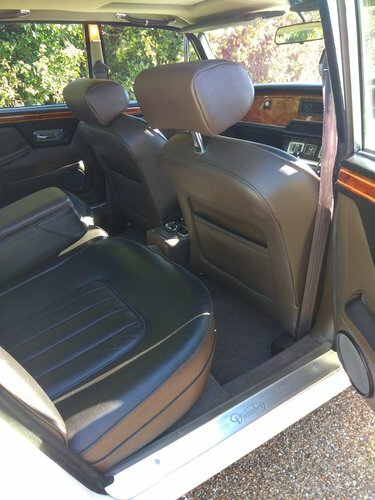 The black leather seat tops have just undergone a leather restoration treatment & are all in great condition with no tears. Rips or scuffs. New door aperture rubbers fitted to all four doors. 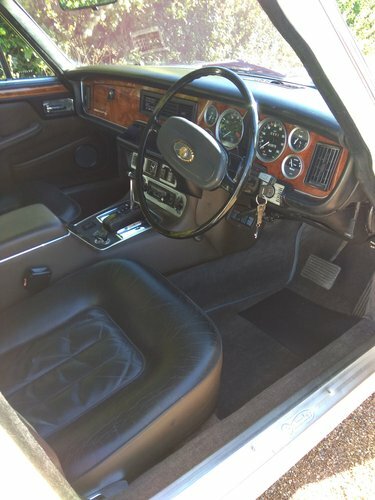 The walnut dashboard has been removed from the car & been restored to as new by a professional French polisher who stripped it back to bare wood & re lacquered it. All of the electrical equipment on the car works just as it should do. There is a rare factory fitted electric sliding roof. 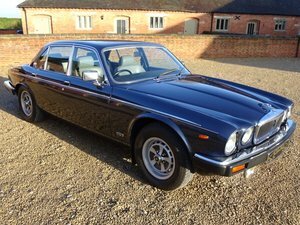 This is one of the last cars to be produced that was still naturally aspirated, using four Zenith Stromberg 175CD SE carburettors to power the smooth V12 5.3 litre engine along to 148 MPH at 285 BHP. 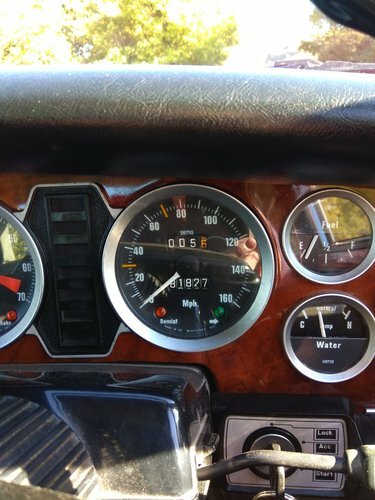 She has covered 81,830 miles since 1975. Proven by MOT certificates. is classed as a Historic Vehicle so zero rated for tax & has just been registered as MOT exempt but would sail through if tested today. 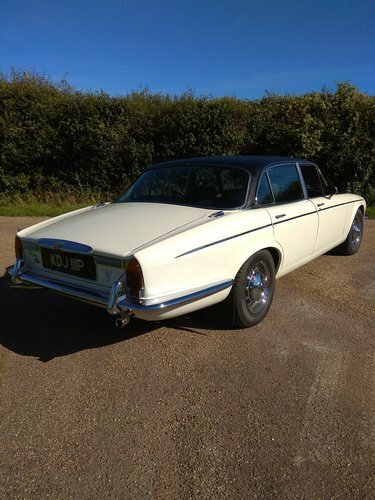 If you search the classic car web sites & press you will find there is not another series two V12 Vanden Plas available for sale in the UK & possibly Europe at this time. This is a rare car. 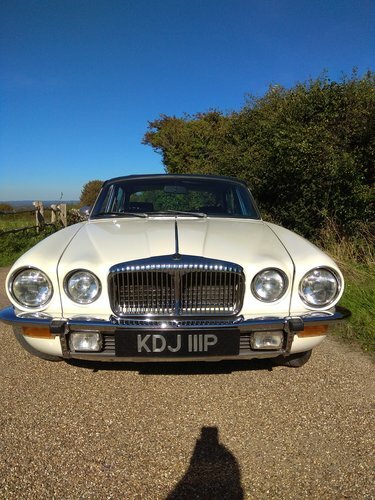 If you run a wedding car business this lovely Daimler would make a worthy addition to your fleet. If you are a collector/investor this car can only appreciate in value.